Hello!! I know I’ve been on a little hiatus, being home (or lack thereof) and always out with friends has slowed me down a bit from writing, but for the time being…I’M BACK!! 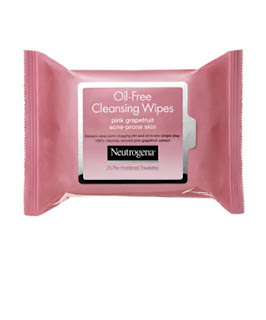 I recently picked up Neutrogena’s Pink Grapefruit Oil-Free Cleansing Wipes, and I have to say, I am absolutely loving them! I had yet to find a good cleansing wipe, even some I have tried that were labeled “oil-free” still left me feeling kinda slick and ew. Howeverrrr, I don’t feel like that at all after using these, my face feels clean and fresh and all my makeup comes right off. Getting home late at night super dead and tired, or not getting home at all, I still worry about leaving makeup on my face overnight. I actually just bought another pack of these to keep in my car, so I always have them on hand to feel fresh and clean, and hopefully avoid any possible breakouts, before I drift off to sleep….no matter where I may end up! I think the whole grapefruit line by Neutrogena is great. I once used their graprefruit face wash, and I really liked it too. Oil-free is so important to me, and I think this line of products stands by that, and has great ingredients to combat oily skin. The only drawback I would say this product has is….it will burn your eyes if you use it as a mascara/ eyeliner remover. 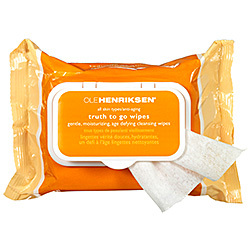 Most cleansing wipes are made for full eye makeup removal, these wipes can get the job done, but it’s not exactly a great feeling. Also, it has a strong smell, but I wouldn’t necessarily call it bad. If you’re looking for a great makeup remove cleansing wipe, that still does other things such as combat oily/ acne prone skin…then this is def the product for you. 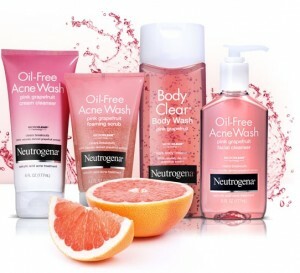 Think about trying out the whole Neutrogena Pink Grapefruit line here!